The roots of the Union Church in Oglesby date back to 1868 when the Sunday School of the Oglesby Union Church met for the first time in the hayloft of a large barn. Over the next twenty-four years the group met together in homes on Sunday evenings for prayer services. The church was officially organized in 1892 with thirty-seven members. The first building was dedicated in 1895. Throughout the years the Church has been expanded and remodeled. Since this rather lowly start, the Union Church has not only survived but has grown to be one of the major religious influences in Oglesby. The congregation meets in their church at 100 East Walnut Street and is led by Pastor Adam Wolfgang. Sunday School starts at 9am and the Sunday Morning Worship Service is at 10:15am. The Wednesday Prayer Meeting is held at 6:30pm. In the 1880s, Catholics south of the Illinois River had to cross the river and worship at St. Patrick’s Church in LaSalle. Later, Sunday masses were held in the Miner’s Hall in downtown Oglesby, led by itinerant priests. 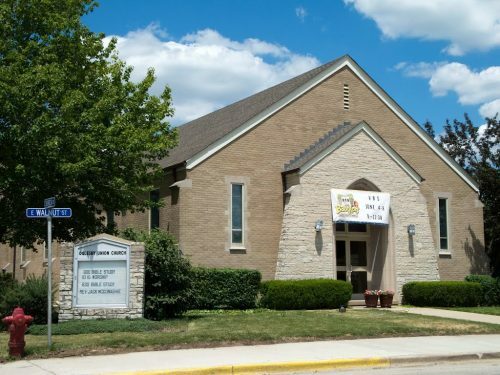 That practice continued until 1900 when the Bishop of the Peoria Diocese commissioned the organization of Sacred Heart Parish, and a church was built at the corner of Woodland Avenue and Porter Street. Later, in order to service the Lithuanian population, another parish was organized and a Catholic Church dedicated to St. Constantine, was built on the corner of Florence and Spring Streets. 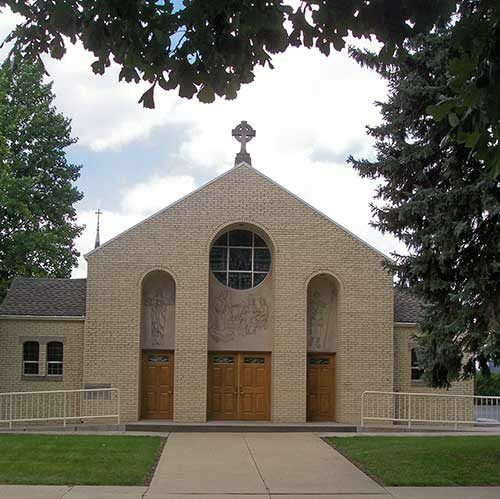 In 1953, both parishes were combined into Holy Family Parish and the new church building is located at 311 North Woodland Avenue. Father Michael Andrejek is the current pastor. Masses are held daily (except Monday) at 7:30 am, Saturday at 4 pm, and Sundays at 8am and 10:30am. Phone 815 883-8233 for other information. The First Baptist Church of Oglesby was formed at a meeting that was held in a converted railroad car on April 12, 1908. Prior to this time a missionary evangelist would visit periodically to conduct services in areas that did not have organized churches. The first Baptist Church, built on the corner of Porter Street and Woodland Avenue, was dedicated in 1910. This Church was destroyed by fire in 1937 and was rebuilt on the same site. The Baptists continued to worship here until 2001. 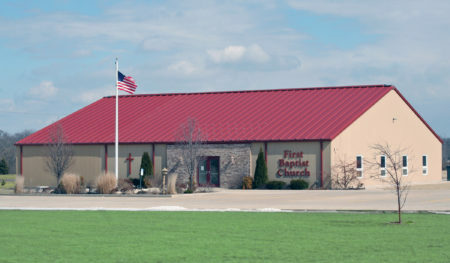 A new Church was erected on a five acre site south at 1110 South Columbia and the first services were held in the new building on September 16, 2001 with one-hundred-forty of the faithful in attendance.